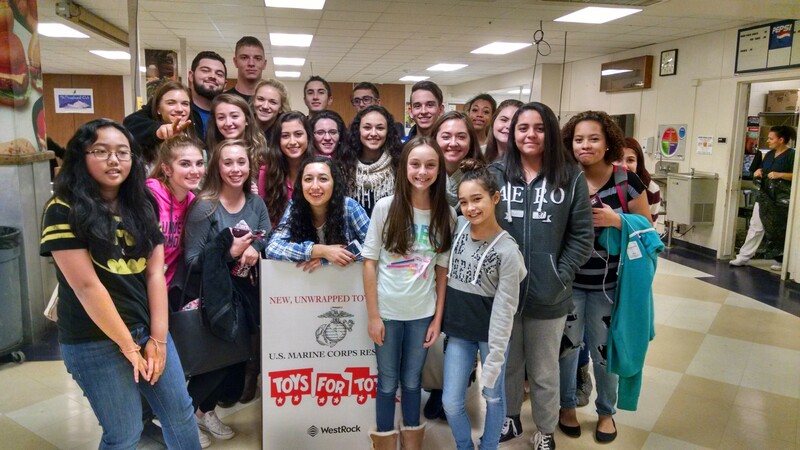 From November 30th-December 14th, Athena Middle School and Athena High School Student Councils partnered together to sponsor a Toys for Tots Drive. Together the students and staff collected over 400 toys that will be delivered by the U.S. Marines to needy families in our area. Toys were collected for boys and girls from infant to 14 years of age. The Social Justice Committee of the GTA worked in collaboration with the Greece Central School District to significantly reduce student supply costs for many buildings in the district for this current school year. The goal moving forward will to spread the impact of this initiative throughout the entire school district for 2016-2017. The Social Justice Committee of the GTA wanted to make a difference for students wanting to play musical instruments who were struggling with the cost of rent or ownership. Through a gently used musical instrument drive for district staff, almost $2,700 worth of instruments were collected. These instruments will be used by students in the district who could not otherwise afford to participate in our district’s school music program. Through our Social Justice Committee, the GTA has teamed with the Ridge Road Firefighters on Operation Warm, a program to help provide new winter coats to children in need. Order GTA clothing to support Operation Warm here. For more information, including a link to donate, click here. Information about our annual Stuff-A-Bus food drive can be found here.